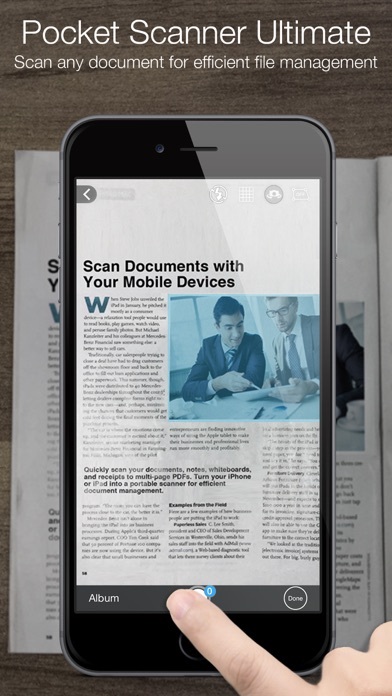 Pocket Scanner turns your iPhone or iPad into a portable document scanner for efficient document management. 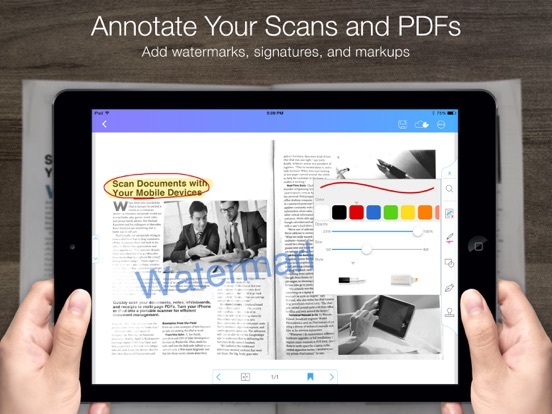 It allows you to create JPEG scans, write captions and add texts to photos, and convert your documents, notes, whiteboards, and receipts to multi-page PDFs. 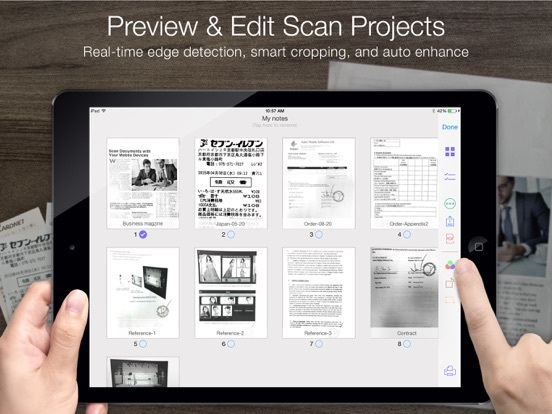 Pocket Scanner is the practical and professional choice for scanning, viewing, editing, and managing documents. 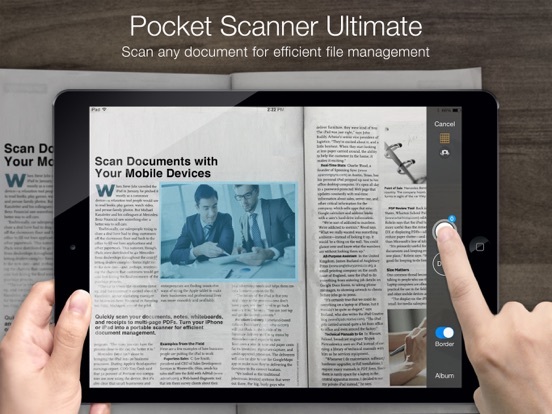 Pocket Scanner Ultimate is the stand-alone version fully equipped with advanced PDF tools. 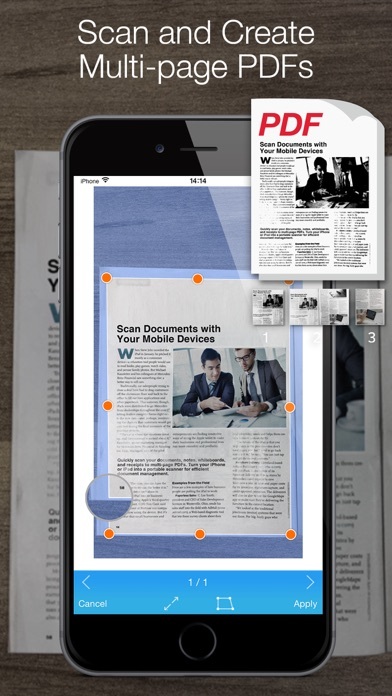 Search “Pocket Scanner” in the App Store and try it out for free before purchasing. 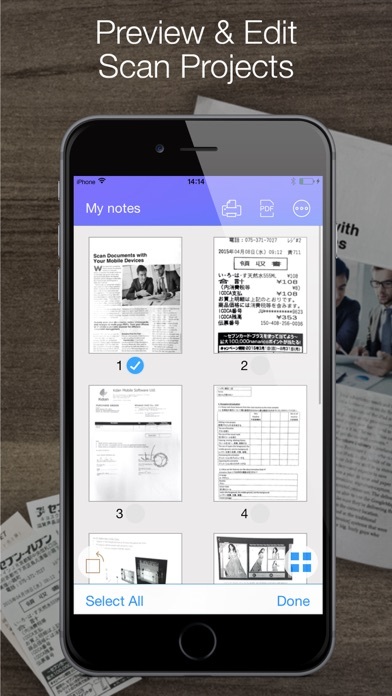 - Lighten your back and eliminate the stress of lost documents. ・Upload, view, and manage files directly from your browser. ・Supports file transfers in the background. ・Send download links from the web with password protection. 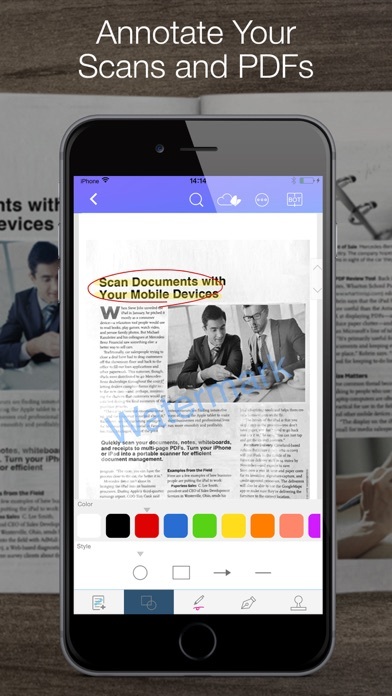 ・Send file links via emails or personal social networks. ・Resume unfinished uploading (Files larger than 5MB will be supported). Unlock advanced tools and easily work across all devices and platforms by subscribing to Kdan Mobile’s Creativity 365 services. Creativity 365 is a comprehensive, cross-device contention creation tool set aimed at improving productivity and collaboration. 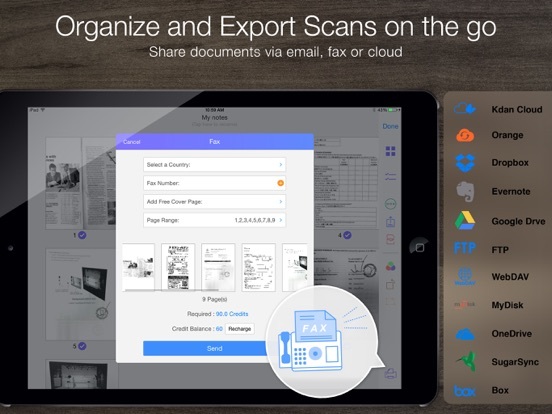 The set includes five apps Animation Desk, NoteLedge, PDF Markup, Pocket Scanner, and Write-on Video along with 1TB Kdan Cloud storage and access to all of Kdan Mobile’s online communities. 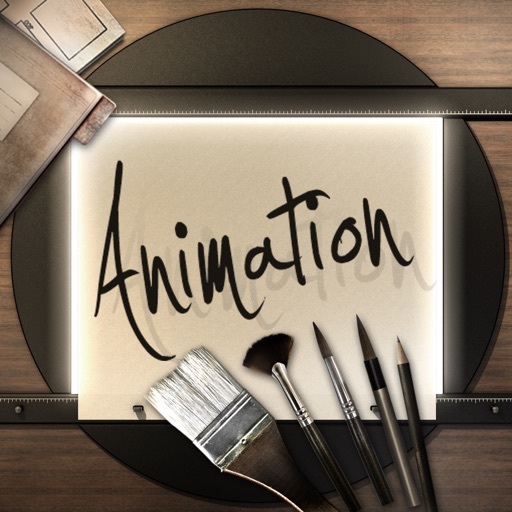 With Creativity 365 subscribers gain access to all the premium features normally unavailable to Cloud app users. 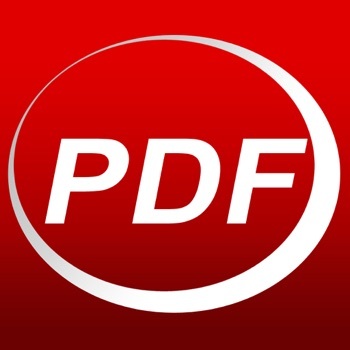 ・Send faxes to 40 countries around the world. 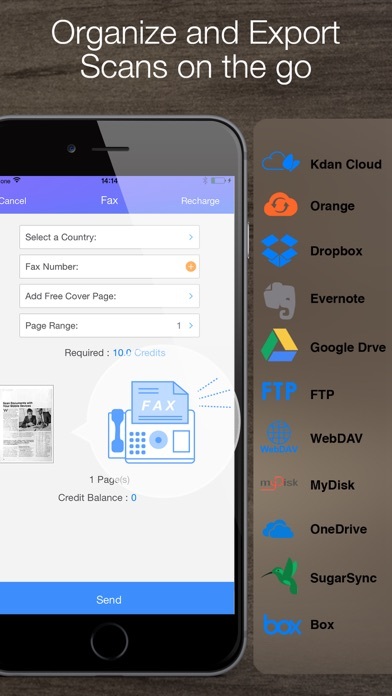 ・Seamlessly store files without limitations and get storage space on the Kdan Cloud. 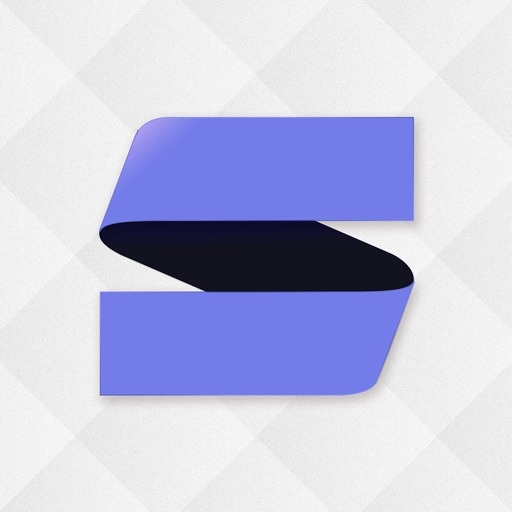 Try out the subscription content before you buy it. We offer 7-day and 14-day free trial periods to new subscribers of Creativity 365.